It turns out the greatest antique flea market in New York City is tucked away between 6th and 7th avenue on 25th, a street that’s been recognized as one of the Top Ten Shopping Streets in the World by National Geographic. 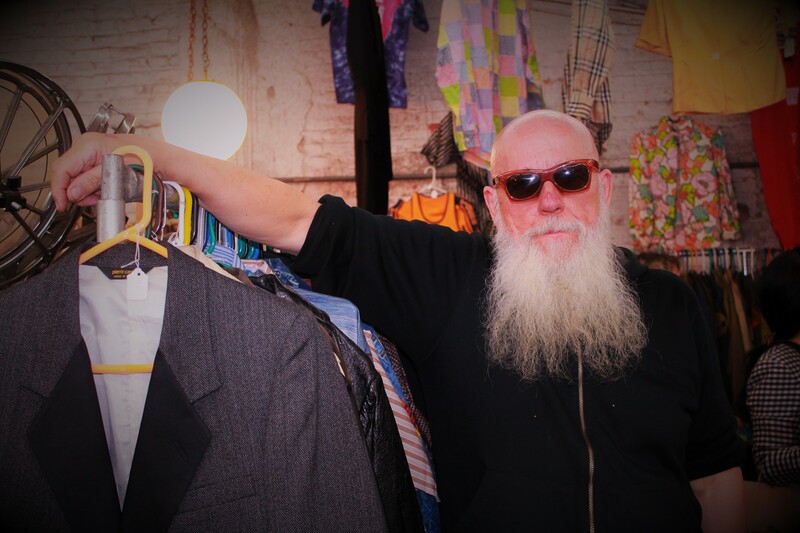 The Antiques Garage, literally a parking garage during the week that transforms itself into a cultural center that is probably the best collection from the best antique dealers in the game, has been using the space for over 20 years (they just celebrated their 20th on May 17th). But due to the building’s future of being torn down, the Antiques Garage dealers must find a new spot to vend. 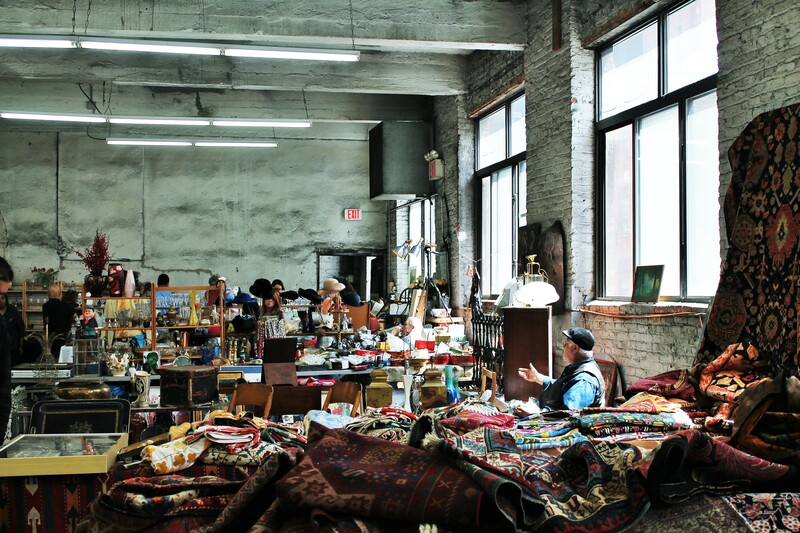 I first came across the space with a friend who has been living in the city a lot longer than I, but after quickly falling in love with all it had to offer—jewelry, ceramics, rugs, furniture, coins, weird toys, film memorabilia—I was a recurring customer every Saturday. What a lot of people don’t know is that historically speaking, the area along Avenue of the Americas used to be filled with hundreds of shops akin to this 20 year-old gem; heck, even Andy Warhol wandered down these streets looking for something or other. So to have the Antiques Garage virtually disappear is rather heartbreaking. Ziggy, a native to the Garage for some time now, sold me a retro-style 70s era floral number that he had been hoarding for over 40 years—a long while for someone just 25 years young. 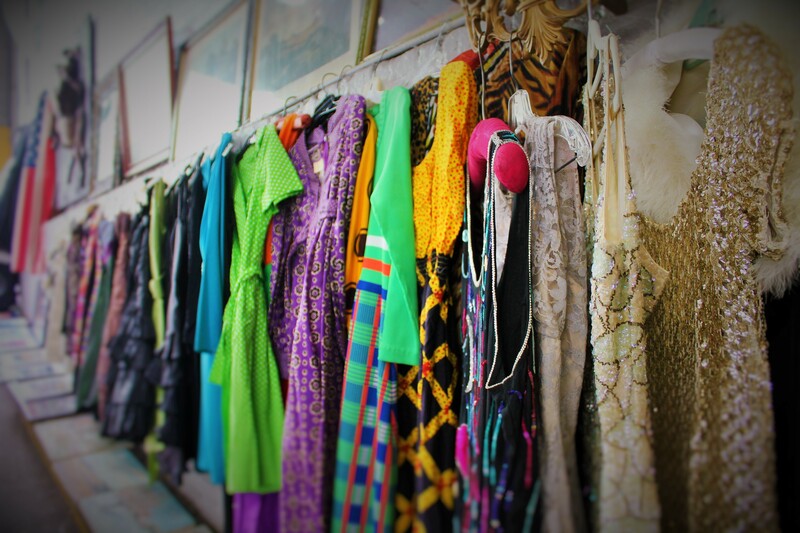 But as we know, style is pretty much timeless, so of course I will be rocking the vintage look here in contemporary 2014, one of the fun parts of antiquing and why us on the prowl enjoy spending maybe too much money on such fun relics. Ziggy was explaining the situation to me, how the vendors were sort of “SOL” so to speak, because they have no control over the tear down. And that’s the thing that makes The Antiques Garage so special, these people really are the pros with a collective 100+ years experience; this ain’t no county fair with some guy sitting at a table trying to pawn off a few Bowie records—livings are made selling this “stuff”. But unfortunately back in 2011 a company bought the site for $42.7 million with plans to build…wait for it…A HOTEL. Yes, just what Manhattan needs, another hotel. A 29-story hotel, as a matter of fact. 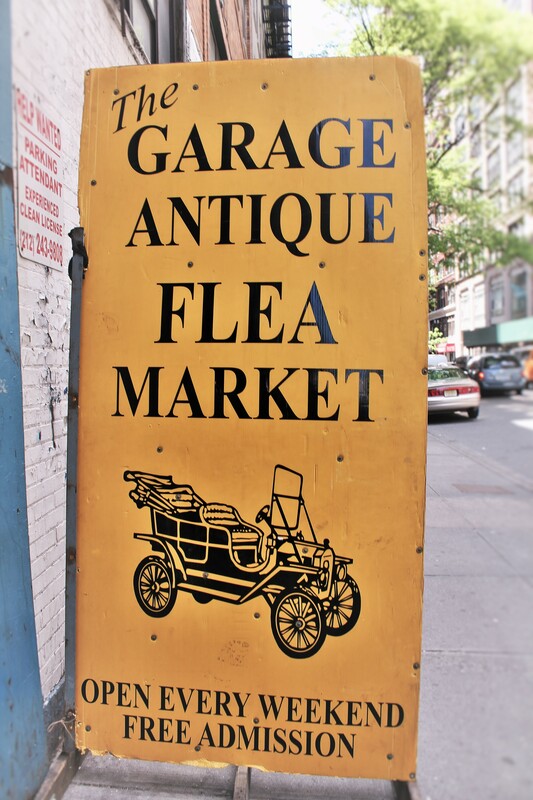 This is a total bummer for any antique lover, as the Antiques Garage is one of the last things left in Manhattan that feels somewhat original. But alas, soon a hotel will occupy the space that’s spirit of hundreds of years worth of things will always remain.